Yesterday I posted about some great handmade Clemson stuff I had found on Etsy.com. 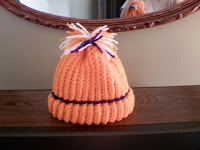 Well today I want to share some great custom knit, handmade Clemson items from Piece of Knit – a home business started up by Holli McCarley, a South Carolina native. Holli knits toboggans, stocking caps, purses, and scarves. 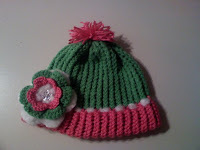 She can make them in adult sizes, kid sizes, and baby sizes. How adorable is this! This would look so cute on a newborn Clemson Girl. These adorable knits would make great stocking stuffers! 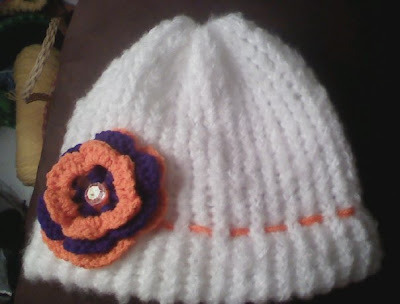 Of course I love the Clemson ones, but she can make them in any colors you request. Holli is a stay at home mom in Iva, SC with three adorable little ones. She has always been crafty and loves working with her hands, but decided to make a business out of knitting and crocheting after friends kept asking her to make their kids toboggans – and the great response she received. Her business, Piece of Knit, has been a blessing to Holli since now she can stay at home with her three kids and do something she truly enjoys. Oh yeah..and she can make one for that ‘other’ team. If you are interested in placing an order with Holli or if you have any questions, you can contact her at hollimccarley@yahoo.com. She takes orders 24/7 and will work with you to make sure you get your gift in time for Christmas. 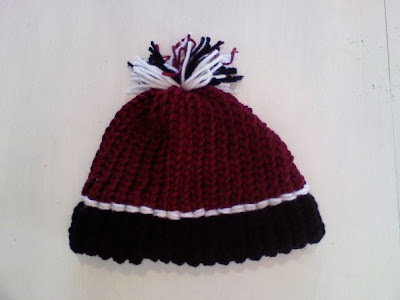 Her knit products are very, very affordable (range from $10 to $20), especially considering you’re getting something handmade and customized in your requested colors! 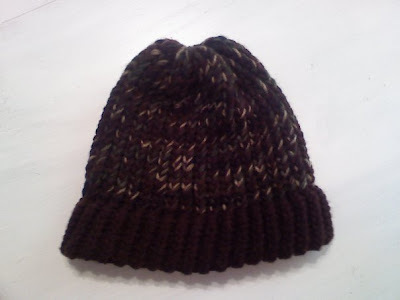 Husbands and boyfriends are almost impossible to shop for…Why not get them a knitted toboggan in their fave colors to wear this Winter.